Ariel View Of A Woman Using A Laptop Whilst Her Daughter Is Sleeping Next To Her, Cuddling Their Pet Dog. Royalty Free Fotografie A Reklamní Fotografie. Image 45789024. 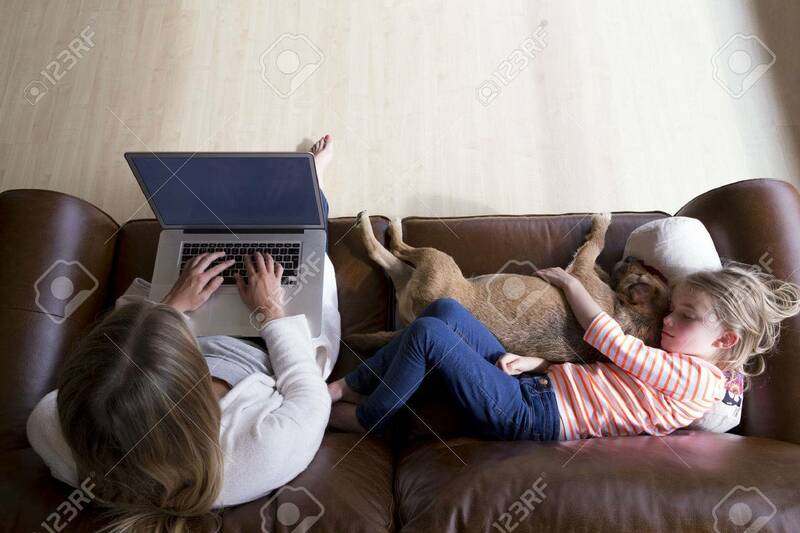 Reklamní fotografie - Ariel view of a woman using a laptop whilst her daughter is sleeping next to her, cuddling their pet dog. Ariel view of a woman using a laptop whilst her daughter is sleeping next to her, cuddling their pet dog.